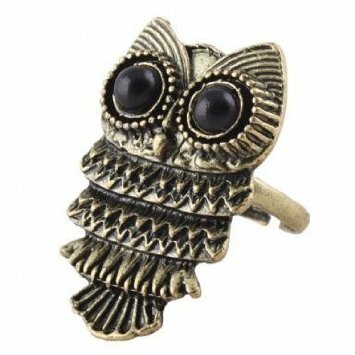 New Fashion Lady Exquisite Ancient Adjustable Metal Owl Retro Style Ring Gift #1 - $1.00 Shipped through Amazon. SODIAL- Art deco black eye bronze owl vintage retro Long necklace jewelry pendant - $1.27 shipped through Amazon today! Thank you Savvy Saving Couple! Fashion Lady Charming New Lovely Style Wood Dragonfly Pendant Necklace Hot Gift - $1.99 + free shipping. Crystal Bowknot Tie Gift Box Pendant Elegant Chain Necklace Fashion Party Lady - $1.29 shipped. Thank you Bargain Hound Blog! 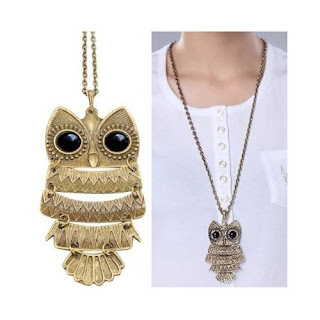 There are several jewelry styles under $2 shipped from Amazon today! Let us know what you find!